When properly trained, this oft-neglected muscle can be a total powerhouse. Even though we use our calves every time we run, jump, and squat, it’s easy to forget the important role they play in each of those movements and in sports, in general. “Strong calves are absolutely essential to an athlete’s performance,” says Alex Zimmerman, director of Equinox’s Tier X program. “They’re comprised of both type one and type two muscle fibers, which makes them helpful for completing both explosive and endurance activities, as well as stabilizing your gait.” But the benefits do not stop there. Here, exactly what a pair of healthy calves can do for you, and how to get them. 1.They increase your range of motion. There’s a reason trainers check for tight calves if/when you have trouble achieving full range of motion (ROM) in a squat. “If you have tight calves, that will seriously limit your ability to squat. And if you’re not able to get the ROM necessary in your calves or ankles, then you’re going to get it from somewhere else, like your lower back,” says Zimmerman. Any time you share the load like that, it creates a domino effect of bad form (rounded back, knees jutting past your toes, etc. ), which puts more stress on your supporting muscles and again, ups your risk of injury. 2.They help you decelerate and boost your agility. “People typically get injured during the eccentric (or lengthening, controlled) phase of any type of movement. For example, an athlete usually blows out her ACL when landing, and pitchers injure themselves when their arm’s slowing down after moving at top speed,” says Zimmerman. 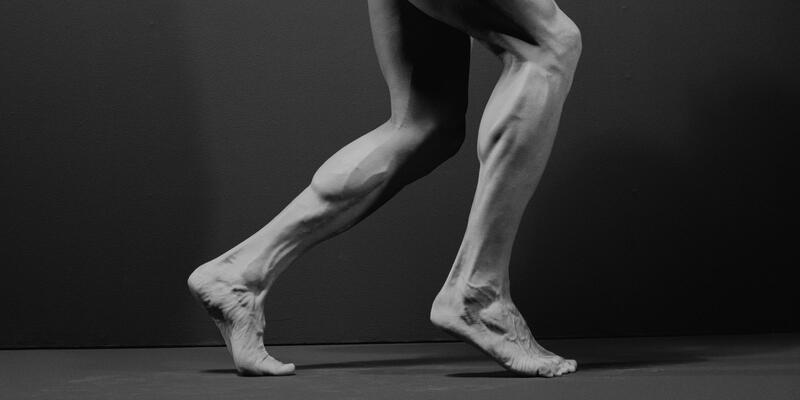 The calf muscles are designed to help your body decelerate safely in multiple planes of motion, which not only decreases the likelihood of getting hurt, but also increases your ability to change directions quickly. 3.They help stabilize your knees. 4.They improve your cardio capacity. To help loosen up your calves and promote good blood flow, regularly roll out with a foam roller or a stick-shaped tool during your warm-up, cool-down, and/or recovery sessions. “I would recommend rolling out each calf with The Stick for two to three minutes per day, in a slow and controlled fashion,” says Zimmerman. Then, perform this dynamic calf warm-up before any workout: Stand with feet hip-width apart, arms extended by sides. Lift left foot off floor, squat down slightly, bending right knee, and reach extended left leg in front of you; tap left heel on floor and return to start. Do 10 reps. Then, keeping left foot lifted, squat down slightly and reach extended left leg as far out to the side as possible. Tap floor and return to start. Do 10 reps. Next, stand upright as you rotate your torso to the left and tap left foot down behind you with toes pointed back. Do 10 reps.
To strengthen your calves, continue to move—and stretch—your body in all three planes of motion on a regular basis. Perform closed-chain, lower-body exercises, like split squats, kettlebell swings, goblet squats, and lunges, often. Outside the gym, try to reduce the amount of time you spend in high heels and opt for shorter ones, if/when possible. “High heels shorten your tissue, and then you loose ROM at your ankle joint, which reduces its elasticity and power,” says Zimmerman.